Kor-Pak provides both new and surplus AC and DC motors with varying horsepower ranges to accommodate most industrial applications for all industries. We also specialize in rebuilding surplus mill motors and providing 1:1 exchange programs which help our customers reduce costs and downtime. For both new motors as well as those hard to find surplus ones, Kor-Pak is your all-inclusive resource for your material handling needs. Kor-Pak offers a wide variety of AC Motors up to 1,000 HP, carrying most major brand names. Inverter Duty Motors: Kor-Pak offers high-quality inverter duty motors that are used in conjunction with AC Variable Frequency Drives. 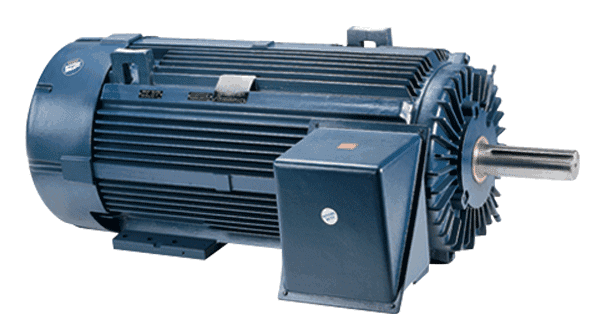 Kor-Pak provides a variety of new and remanufactured AC Squirrel Cage Motors made from several brands including: General Electric, Baldor, Marathon, Westinghouse, and Reliance. Contact a Kor-Pak representative today for a competitive quote. Need Help Finding a Squirrel Cage Motor? Kor-Pak can help you find the motor you need.